Fresh off the plane, I stumble down the jet bridge into empty Gate 51 of the Copenhagen airport. I’m traveling by myself, but I’m not really alone; a bundled mass of travelers spill with me from the gate down into the terminal, a sea of black hats and coats marching, as if they all know the way, all marching towards the metro. At the metro stop, we wait quietly. A tall, blonde couple stands together, scrolling on their iPhones. She could be a model, so could he. Beside them, a mother and father whisper to each other in Danish, looking at their sleeping baby, kept warm in a grey stroller. The dad squats down and gently touches the baby’s outreached hand; the baby wraps its little fingers around his forefinger. The mother smiles at them. The metro arrives and the familial tableau breaks; everyone gets ready to board, and then files into the metro car. I get the feeling everyone is Danish. They are all wearing at least one item of black clothing, and most have hair ranging from medium brown to blonde. A lot of them are tall, and everyone has white skin. With my blonde hair, white skin, and black puffy jacket, I could be one of them. I get off at Nørreport station, and the herd moves with me. We walk upstairs to the street, and then disperse into a larger sea of black coats and blonde hair. Headlights and street lamps pierce the darkness, illuminating the array of bikers and drivers, all heading home. In the crowd, I find my sister, Kena, waving at me from across the street. She blended in so well that at first, I didn’t see her: her puffy jacket and black pom pom hat are mirrored twenty times over in the crowd of Danes. We walk quickly down the clean, cobblestone street. Christmas lights decorate warmly lit shops, and candlelight oozes from restaurant windows, framing couples laughing and sipping wine. Copenhagen seems classy and organized, like San Francisco or something. There is no rubbish on the streets, no sense of danger or crime. Everything has a place, and is in place–like thriving bees, buzzing in a well-run hive. But at the same time, the homogeneity is surprising, almost unnerving. The monochrome nature of the streets and the people is unusual. We keep walking; more quaint houses, clean windows, and people passing, dressed all in black. We make it to Kena’s place: a cozy flat with a modern kitchen on one side, and a couch area on the other. Sitting on one of the couches with her laptop is Kena’s flatmate, Kelsey. She’s wearing sweatpants and a soft-looking sweater. She has dark, straight, hair, and coffee-colored skin. Kelsey is the first black person I have seen since arriving in Copenhagen. Out of that whole sea of people–in the airport, in the metro, on the street–there had not been a single non-white person. My appearance made me blend in; it made me comfortable here. But just as much as I blended in, I thought of how much Kelsey, and other people who aren’t white, must stand out. 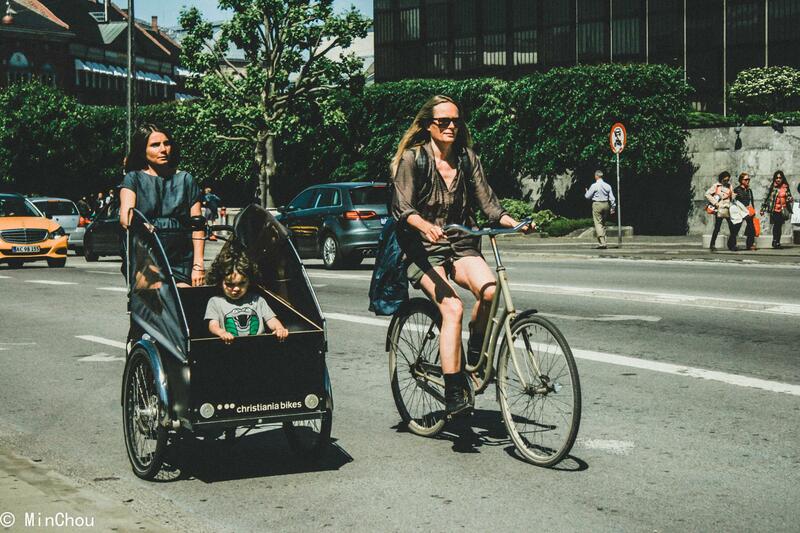 While internally inclusive, Danes are also known for their exclusivity towards foreigners. I asked Kelsey about her experience in Denmark so far, and she had mixed reviews. Kelsey didn’t think Danes would be racist, but she’s had some uncomfortable racial experiences. “At a restaurant in Copenhagen, a waitress asked me what I was doing there, and then told me I should be leaving as she wiped my table. Also, people ask me where I’m originally from. And men have said I was lying to them about my race, because I was ‘ashamed of my culture.’ My non-black friends don’t have to deal with that.” Growing up as a black girl in America, Kelsey has been an ethnic minority before. After Denmark stopped colonizing, the country internalized, becoming very nationalistic. As a result, Danes are famous for their strong national identity and celebration of Danish community: one of the key elements of Danish culture is hygge, or the feelings of the coziness and warmth of Danes spending time together. To an extent, Danes can get away with this fierce homogeneity. According to World Atlas, 9 out of 10 residents in Denmark identify as ethnically Danish–leaving a small margin of ethnic minorities on the outside. Inside, the building loses its church appearance; there are no pews or stained glass, but rainbow walls and glass ball lights hanging from the ceiling, making the space feel more like a retro mansion than a chapel. Today it hosts a flea market inside–one of the community center’s monthly events. Steel clothing racks are bunched full of hangers, heavy with vintage jackets, dresses, and coats. Rows of white, plastic folding tables display a treasure trove of old costume jewelry and leather purses, while crates of old rock n’ roll posters and worn-in high top sneakers fill the floor space between tables. It’s packed: we can barely move through the maze of crammed booths and the stream of shoppers–all of which are twenty-something year old, trendily dressed Danes. Kena shops around–she’s looking for a coat. In one of the racks, I pull out a faded brown, sleek wool coat that looks about her size. The Danish girl selling it looks up from her seat in a folding chair. Her blue eyes meet mine, and we smile. I hand the coat to Kena, she tries it on and it fits perfectly. With her blonde hair, black jeans, leather boots, and now the brown coat, she really looks Danish. Kena asks the price, and hands the Danish girl some change in exchange for the coat. “Now I’ll really blend in,” she jokes. We finish our lap around the market and then walk outside, back into the cold. “Everyone’s pretty white here,” I say to her, questioningly. She nods. “And most people are actually ethnically Danish,” she says. According to an article by The New York Times titled “’I’ve Become a Racist’: Migrant Wave Unleashes Danish Tensions Over Identity”, since 2016, more than 36,000 mostly Muslim asylum seekers from the Middle East have poured into Denmark. Many Danes are hostile to these newcomers: they want their Danish culture preserved, and newcomers to either assimilate immediately or to leave. “But otherwise Danes are so nice,” Kena continues. “They’re just super patriotic–like on people’s birthdays, they decorate with the Danish flag. And they’ve been so friendly to me. 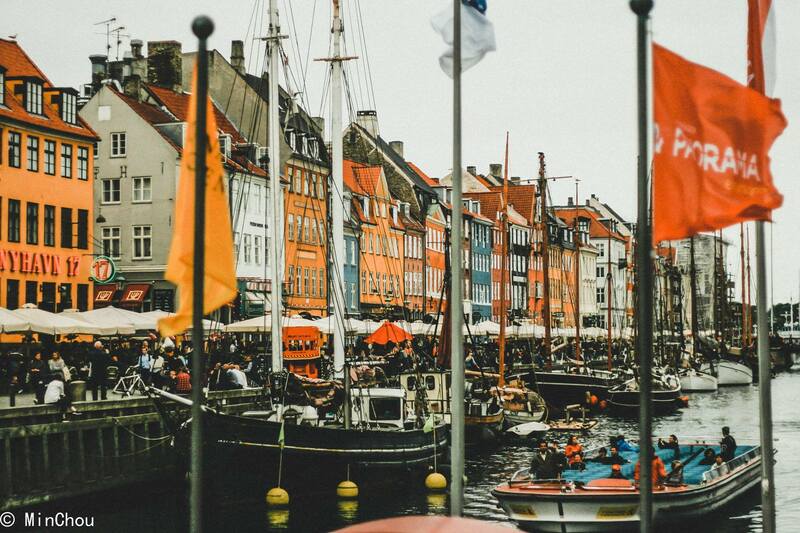 That’s just what it’s like here.” Danes are hospitable and inviting–as long as you blend in. We keep walking, and the clouds swallow the sun again. That night, I’m at Nørreport station, heading back to the airport. I take the stairs down into the metro, sinking back into the crowd of black-coated Danes. They swarm around the metro station; bustling down and up the stairs; filing in and out of metro cars, some waiting patiently on the side while others deboard; calmly shuffling into the metro, and finding a spot to stand or sit–each person ordering themselves in their assigned spot. The metro runs quickly, barely making a sound above a quiet whirr. Soon we’re at the airport, and everyone files out, dispersing into the larger crowd of people checking in for their flights–a single swarm, returning to the larger hive. Denmark works because everyone has a place, and everyone knows their place. But what about the people on the margins of this society? What about those who don’t check the boxes of blonde and white skinned? What happens to them? 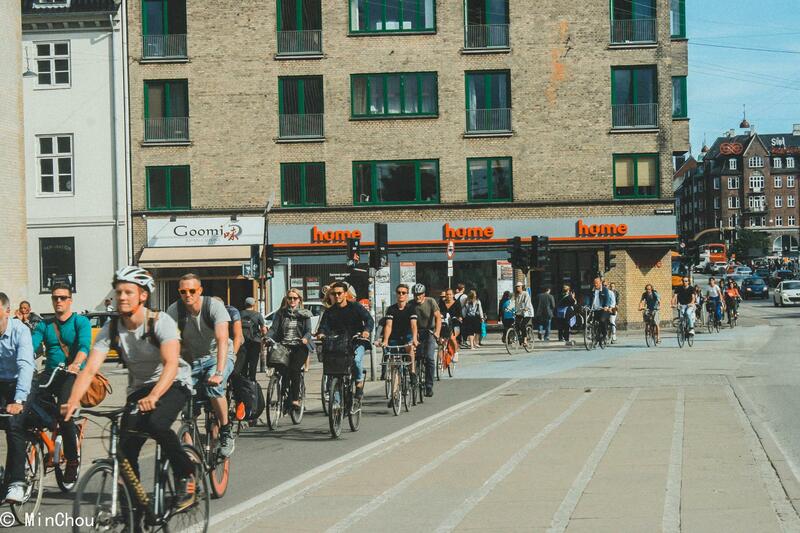 Denmark: a lovely place of cozy streets and welcoming people; a place with a strong sense of community, and great infrastructure. A thriving hive for bees–but what happens when a wasp enters the hive?